Former Pakistan cricketer Javed Miandad confessed that he used to get nervous while facing minnow teams. “One-day cricket is unpredictable,” he said while giving his comments ahead of Pakistan-Hong Kong Asia Cup 2018 fixture in Samaa Digital’s web series Silly Point on Sunday. He added that the side would always focused on scoring as much runs as possible in order to prove their superiority. Miandad said that batsmen get confidence by looking at good performances in the past but runs are scored according to plan. Former cricketer Tahir Khan said that the team regains confidence if the players perform runs and keep breaking records. He said that the team should achieve more milestone by setting new records against different oppositions. Sohail Khan, a cricket enthusiast, predicted that Pakistan would go on to win the game by seven wickets. In the post-match show, the panelists discussed the overall performance of the team against Hong Kong. The also talked about Pakistan’s possible strategy for their upcoming fixture against arch-rivals India on September 19. 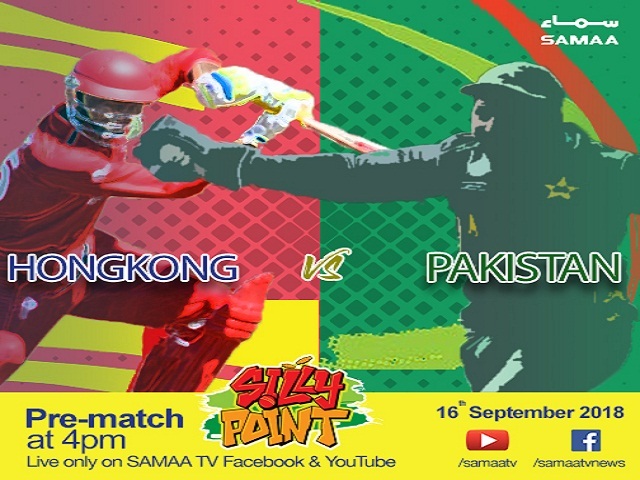 SAMAA Digital is providing in-depth analysis of all Asia Cup 2018 fixtures in its web-series ‘Silly Point’. The programme is being hosted by Nazahat Khan while Shoaib Jatt will be the show’s anchorperson. The panel of experts include former cricketer Tahir Khan and cricket enthusiast Sohail Khan. The 30-minute show will have three segments before and after the match.